The NWS in Birmingham has just upgraded the winter weather advisory to a winter storm warning for Perry and Marengo counties in West Alabama. Two inches of snow is expected across the counties, including areas around Demopolis, Marion, and Linden. Hazardous driving conditions will result. 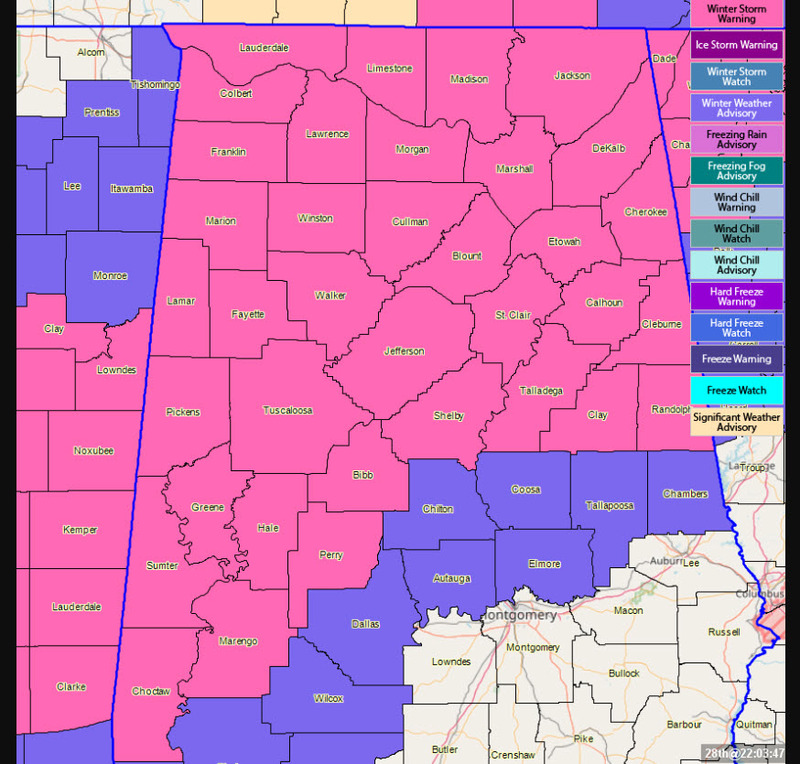 The winter storm warning continues for Bibb, Blount, Calhoun, Cherokee, Clay, Cleburne, Etowah, Fayette, Greene, Hale, Jefferson, Lamar, Marion, Pickens, Randolph, Shelby, St. Clair, Sumter, Talladega, Tuscaloosa, Walker, and Winston Counties until noon tomorrow. The Winter Weather Advisory continues for Autauga, Chambers, Chilton, Coosa, Dallas, Elmore and Tallapoosa Counties til noon as well.